RedRock Boardshop LaGrange L1 Motorized Truck Review « Big Squid RC – RC Car and Truck News, Reviews, Videos, and More! 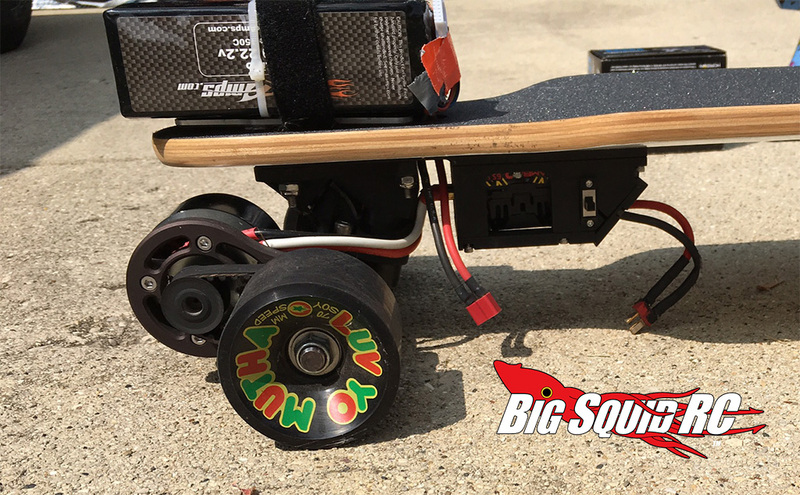 A while back we got our hands on the LaGrange L1 Motorized Skateboard Truck conversion kit from RedRock Board Shop. A few of the Big Squid crew have been interested in trying one of these out, so of course we jumped at the chance to put one to the test. How did it do? Keep reading to find out. YouTube Page: RedRock Boardshop Youtube. In the Kit: The LaGrange L1 Custom Truck / Drivetrain, Belt, Gears, fasteners, ESC Holder. Test Riders: Brian, Cubby, Tim, 3DBill, Mandi, Sarah, Ana, Iza, Teresa. Yep, everyone wanted a chance at this one! 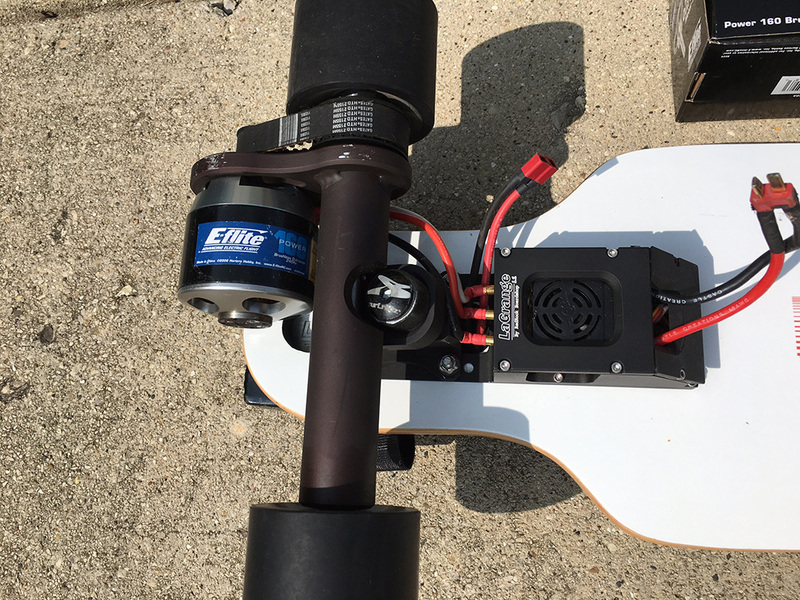 The kit only contains the parts you need to allow you to use a Brushless motor system with a long-board, so it’s up to you to supply the rest. For our conversion, we used the following items. 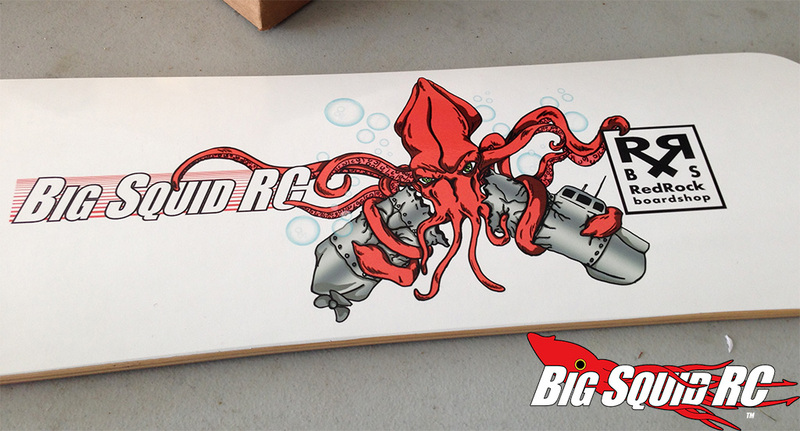 We got the amazing custom long board from the RedRock Board Shop. Take a look at those graphics! I’m not sure we could of come up with anything cooler. We used a MaxAmps 6s 22.2v 150c 8000mah battery. Go big or go home right? We needed enough power to push us around, and we went with the 8000mah to make sure it’s useful for a decent amount of travel. 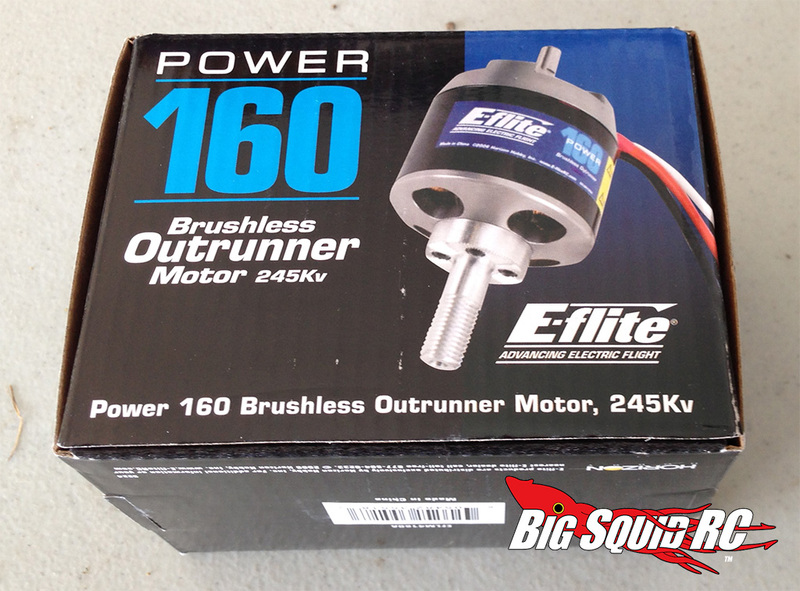 For the motor we ended up using an E-Flight Power 160 Brushless Outrunner 245kv motor. We actually started off with a different motor that RedRock listed on their website as ones that would possibly work, but the motor shaft wasn’t long enough. We can assure you that this one works just fine. For the ESC we used a Castle Creations Mamba Monster 2. Our radio system was a Tactic TTX240. You will also need wheels, bearings etc. If you already own a long board, you are a few steps ahead. Build Process: This was the first time we had put anything like this together, and it wasn’t too difficult. The video instructions on-line were a huge help, and the paper instructions were not too bad. Our only complaint, would be that a couple of steps have you line up and install the belt and gears, only to ask you in the next step to remove them so you can properly install the motor. We recommend reading ahead a step or two to save you some trouble. The kit comes with a long battery cable (several feet long) to allow you to maybe put the larger batteries in a backpack or something, but honestly we were not fans of strapping a 6S to ourselves. We choose to zip-tie it to the very back of the board. It is slightly in the way, but after a couple of rides, you don’t really notice it. We have been talking about fabricating a mount so it sits under the board, protected from feet or crashes. Power: The system we built, with the kit installed, provided a very good amount of power. We could easily get over 15mph without a problem, but limited the ESC to that to keep us from getting too crazy! Most of us are not small people (200lb +) and the girls were ridding two at a time sometimes! Not only did it handle powering everyone around, it even handled the hard testing of getting us up small inclines on the streets. Distance: It was time to find out where we could go. With lipo battery checker in hand, we headed out. Stopping to check our power every half mile because I wasn’t really looking to destroy our new 6s Lipo, we were surprised by how little power we had actually used. In the end, we ended up reaching SIX miles without a problem. This was done with a 200lb person on board, and going up and down roads with small inclines. Everyone was VERY impressed with the distance. 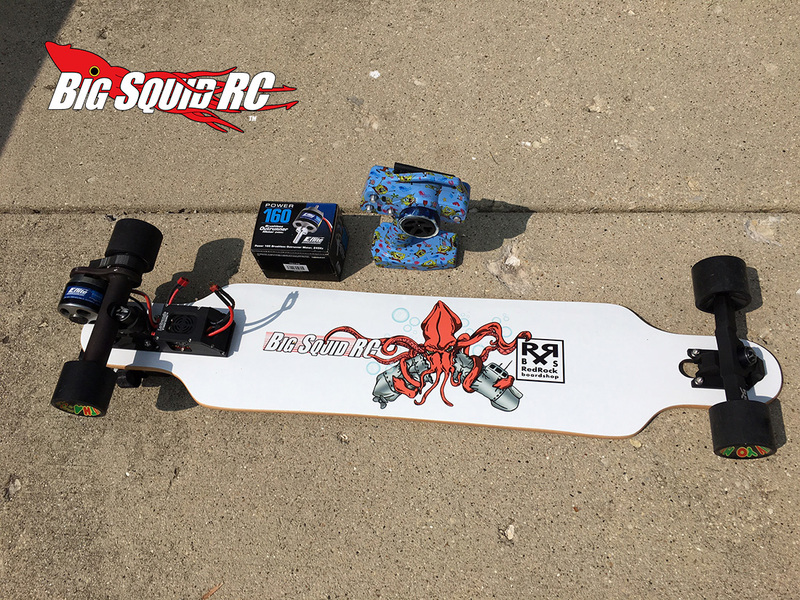 Real world uses: The RedRock system actually makes the long board a very usable mode of transportation, especially for those too lazy to push. If you are just looking to get around town, go to school, or get around your college campus, this is a viable option. We have used ours at a couple of trade shows, bash events, and it’s been a savior during testing out at speed run road. 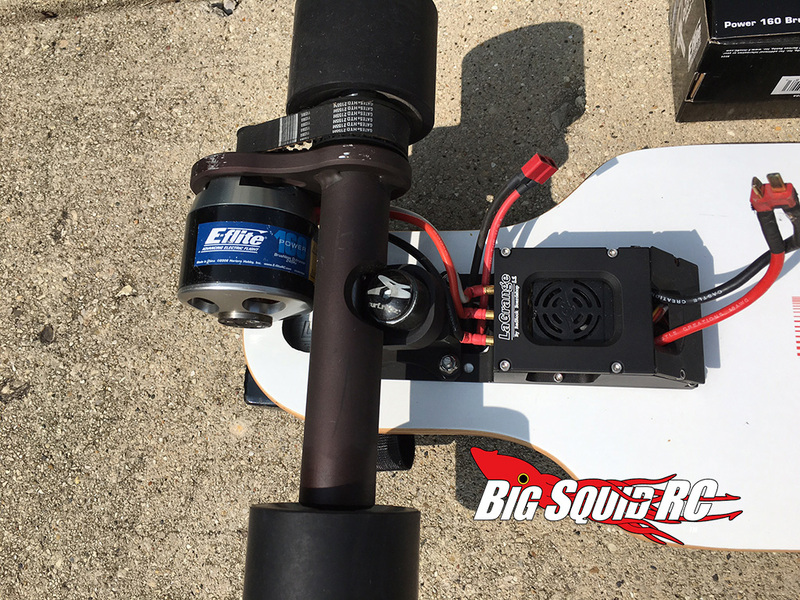 Overall: While it’s not on the cheap side to gather all the components that you will need to complete it, the RedRock LaGrange L1 motorize truck skateboard system is highly recommend! If you are a skater, or a student looking for some cheap transportation, this setup should seriously be considered. We have had a blast with ours, and it’s been very useful on several occasions. 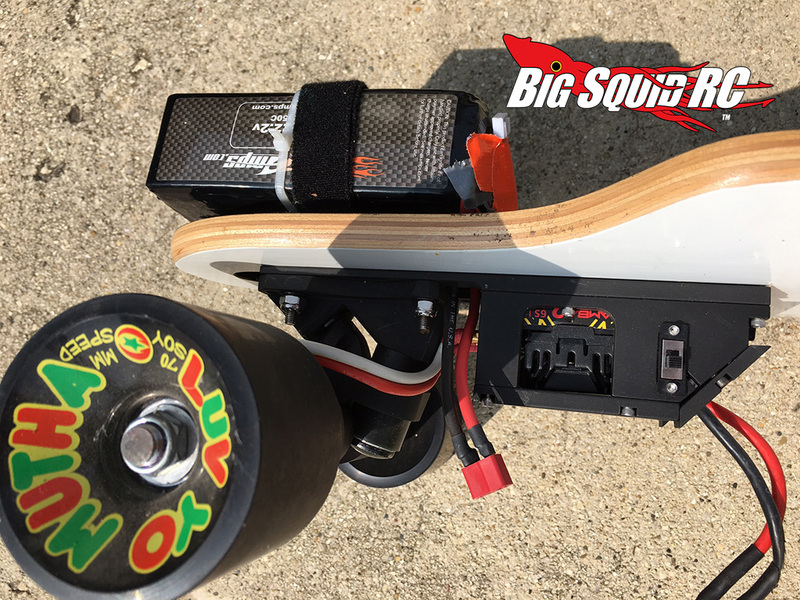 Even if you don’t buy the kit, we can recommend checking out their custom boards. This one has held up through a ton of riders in all sorts of different locations. Don’t ask how we got cake on it.